Fluor Corporation has announced that the company was named by FORTUNE magazine as the top-ranked engineering and construction company in its 2016 World’s Most Admired Companies list. For the fifth year in a row, Fluor earned the top designation among its peers in the engineering and construction market sector. FORTUNE’s Most Admired Companies list is considered a definitive report card on corporate reputations. FORTUNE collaborates with The Hay Group, a global management consulting firm, to identify, select, and rank the world’s most admired companies based on their business practices, innovative spirit, and social responsibility. The rankings are compiled by querying thousands of executives, directors, and analysts to measure corporate reputation and performance against nine key performance areas, from investment value to social responsibility. This year marks the 33rd year of FORTUNE’s World’s Most Admired Companies list. The 2016 Most Admired Companies list is featured in FORTUNE’s March issue. More details can be found at http://fortune.com/worlds-most-admired-companies. 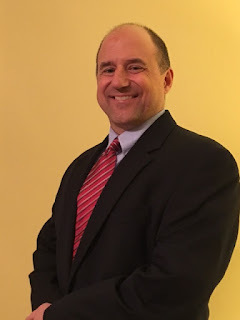 Professional Service Industries has announced the promotion of David Sabol, P.E. to executive vice president. Sabol will oversee PSI operations in Massachusetts, New York, Pennsylvania, Virginia, Maryland, West Virginia, North Carolina, and South Carolina. “I feel privileged for the opportunity and am very excited to work side by side with such top notch employees to grow PSI to the next level,” Sabol says. Based in PSI's North Tonawanda, New York office, Sabol previously served as senior vice president. His 26 years of geotechnical engineering experience includes both shallow and deep foundation system recommendations and specialty recommendations. He earned his Bachelor of Arts in Physics from Mansfield University and his Bachelor of Science in Civil Engineering from Penn State University. He has been a member of the PSI team since 1990. PSI provides a range of environmental, engineering, and testing services, including environmental consulting, geotechnical engineering, construction materials testing and engineering, industrial hygiene services, facilities and roof consulting, nondestructive evaluation, and specialty engineering and testing services. Headquartered in Oakbrook Terrace, Illinois, PSI operates from about 100 U.S. offices with some 2300 employees. The American Council of Engineering Companies of Illinois (ACEC-IL) has honored Baxter & Woodman and the Village of Glenview, IL with an Engineering Excellence 2016 Merit Award. 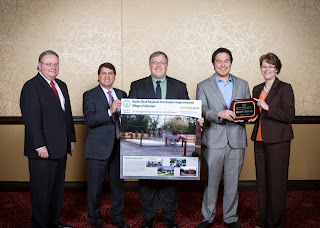 Baxter & Woodman, a civil engineering firm, won praise for construction engineering of the $10 million Harms Road Regional Stormwater Project. “It has been exciting and rewarding to oversee the construction engineering on this important regional flood reduction project that has created so many obvious wins,” explains Baxter & Woodman project manager Christopher Buckley, P.E., BCEE. The system design protects village residents from river backflows while allowing local storm flows to drain at the same time. The project included new 54-inch and 84-inch storm relief sewers, three innovative backflow preventers within the storm flow diversion chambers, and two high-capacity stormwater pumping stations with backup generators. Since one of the pumping stations was located within Cunliff Park, owned by the Glenview Park District, the project evolved into a partnership between the village and the park district to install the required flood protection measures and renovate the park at the same time. The project illustrated how the combined efforts of multiple stakeholders can achieve results beneficial to many constituents. “ACEC-IL looks closely at four criteria to judge award winning projects -- exceeding client expectations; social, economic, or sustainable design consideration; originality; and complexity -- so we are thrilled to be selected for an award,” says Baxter & Woodman’s vice president and COO Lou Haussmann, P.E. “Although we have been providing engineering services for almost 70 years, this kind of recognition and the opportunity to collaborate with a client like the Village of Glenview is always an honor,” he adds. The Greater Cleveland Regional Transit Authority (GCRTA) is reconstructing the Westbound Mainline (Track 8) and rehabilitating an Auxiliary Platform of Track 7 beneath the Tower City RTA Terminal. KS Associates used 3D laser scanning technology to perform an existing conditions survey for the project. The beauty of laser scanning for this project is the scanner's ability to capture data in the dark. Even in the dimly lit areas beneath Tower City, the scanner performed effortlessly, capturing thousands of data points, including areas the design team may not know they needed at the beginning of the project. Laser scanning also improved safety, as surveyors were able to minimize time on active rail lines. And eliminating disruption to rail service was especially critical, considering Tower City is the busiest hub of RTA's rail network, with all rail lines converging here. Based in Elyria, Ohio, KS Associates is a civil engineering, transportation engineering, and land surveying firm that provides planning, design, and construction phase services for public infrastructure projects. The firm specializes in transportation, potable water, wastewater and stormwater; coastal engineering services; site development engineering services for institutional, commercial, and residential uses; land surveying and mapping services; and 3D laser scanning services.